If YOU or YOUR family member suffers a “Loss” as defined and covered by YOUR or YOUR Family Member’s Auto Insurance Policy, you may be entitled to have the Benefit Administrator pay the Mungenast Repair facility a portion of Your Covered Auto Deductible up to a maximum of $500. The reimbursement amount could be up to 20% of the TOTAL REPAIR BILL. Reimbursement will not exceed your insurance policy deductible or, in the case of a higher deductible, the benefit maximum of $500. [Example: Total Repair bill $2,500.00 (20%) is $500.00 and the MAXIMUM Benefit is also $500, however, your Policy Deductible is $200. The reimbursement paid is $200.00]. Insured vehicle means any vehicle(s) owned or leased by YOU or YOUR Family Member that is designed and licensed for use on public roads, not used commercially, and is insured under YOUR or YOUR Family Member’s Personal Use Auto Policy. This no-cost BENEFIT is between YOU and the Dealer. 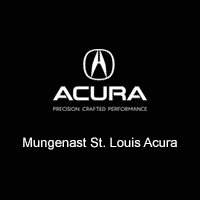 All repairs must be completed at a Mungenast Group facility. Any repairs not completed by a Mungenast Group dealership or authorized repair facility that did not receive prior written authorization from the Benefit Administrator will not be covered. We shall not be responsible for any reason set forth herein including the following: 1) If the claim under You or Your Family Member’s Auto Policy has been denied. 2) If You or Your Family Member’s auto insurance company has waived the covered Auto Deducible. 3) if the claim on Your or Your Family Member’s Auto Policy does not exceed the covered Auto Deductible. 4) If the Benefit Administrator’s Claims Procedures are not followed and/or completed. This benefit is provided at NO COST or legal obligation to you and has NO cash surrender or alternative value. This benefit canceled by You or Your Family Member(s) for any refund or monetary reimbursement. This benefit is NOT transferrable to any subsequent owner. Benefit only valid for 12 months after date of purchase. GENERAL PROVISIONS: In no event shall the liability of the Dealer exceed the single claim $500.00 maximum stated above. The Benefit Administrator does not assume, and specifically disclaims, any liability to YOU for any benefits provided herein. The liability of the Administrator is only to the Dealer in accord with their separate agreement. This certificate is a conditional Benefit is not part of any purchase by You; it is not insurance, and is not subject to state insurance laws or any related regulations.